Simon Busuttil came under increasing pressure to quit his own party on Sunday evening, as the Nationalist Party administrative council unanimously called on him to suspend himself from the PN parliamentary group. The council spent almost three hours locked inside a meeting at the party’s general headquarters, releasing a statement shortly after 9.30pm. “Nobody is bigger than the party. Nobody is bigger than the truth. Nobody is bigger than the country,” the council statement said. Dr Busuttil replied on Facebook, saying he would "keep fighting for justice, even without Adrian Delia's backing". The PN MP and former leader was stripped of his good governance portfolio earlier on Sunday but said he saw no reason to suspend himself from the PN’s parliamentary group, defying his party leader. Speaking to reporters after the meeting, Dr Delia indicated that the ball was now in his predecessor’s court. “Dr Busuttil’s [earlier] statement was in reaction to me. Now it is the party which has spoken,” the PN leader said. He however declined to say whether he would push for Dr Busuttil's expulsion if he refused to toe the line, saying “there’s no particular rush”. That statement contrasted with his stance earlier in the day, when he called for Dr Busuttil to step aside just hours after the Egrant inquiry conclusions were published. “This is not about Simon Busuttil. This is about transparency. We must show, as a party, that political responsibility is shouldered when needed. I hope other parties do likewise,” he said. Asked about Dr Busuttil’s charge that he was “siding with Joseph Muscat”, Dr Delia brushed the claim off as “absurd”. 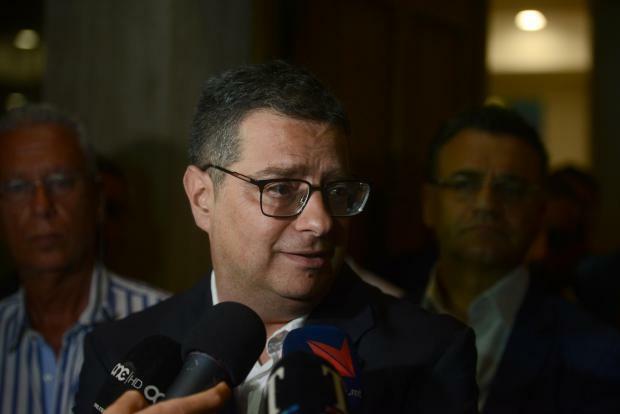 He also demurred when asked whether he would be seeking the backing of the PN’s entire parliamentary group, saying that he wanted to take things step by step. The PN council statement emphasised the need to keep the pressure on minister Konrad Mizzi and the prime minister’s chief of staff Keith Schembri, saying that while the Egrant inquiry conclusions published on Sunday exculpated the Prime Minister and his wife, the same could not be said of his two close aides. Given that Dr Mizzi and Mr Schembri had not resigned, the council said, the Prime Minister was now obliged to fire them or assume political responsibility for their actions himself.